You can easily add email address or mailto links in your email signature using the Email Signature Rescue V2.0 software. 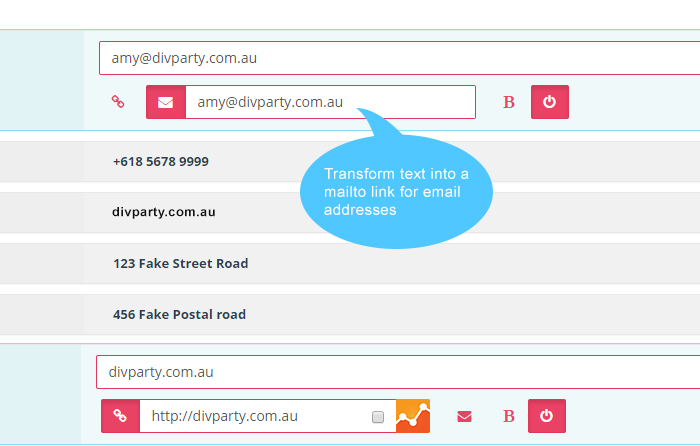 In the email address field, simply add the text that you would like to show where your email address link is. For example, you could add "Email Me" or your email address "email@email.address". The text can be whatever you like. In the options box below the text field, turn on the mailto link by pressing the Envelope icon. This will expand the link box that holds the email address where you would like the email to go. Enter your valid email address into this box. Now you have a working email link in your email signature.